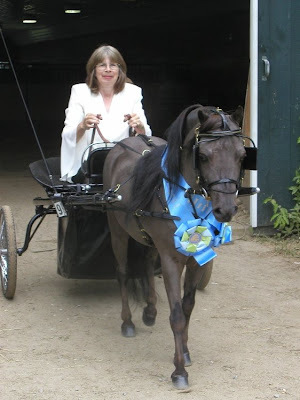 New Hampshire farrier Linda Best died Sunday morning. The entire New England farrier community and miniature horse world has been thinking of Linda and her farrier husband, Paul, and we all wanted to believe there was hope she'd recover. That wasn't to be and we've lost a friend. Click here to read a story about a day that will be how we'll all try to remember Linda. A second annual benefit "Ribbons for Linda" horse show had been planned for next Sunday. More info is available at this link. I hope there will be more details available when the world comes back from the long weekend.